In July, we formed new and deepened friendships, fell in love with the west all over again, and began our meandering back east. We left Yosemite on July 1st, two weeks before the outbreak of horrible wildfires. We feel extremely blessed to have seen the park in all its glory. 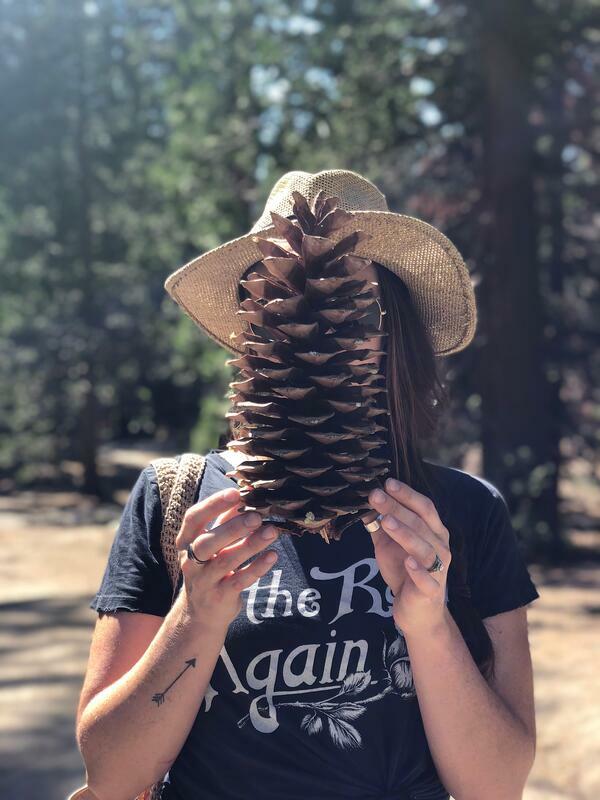 From there we spent a magical time in Kings Canyon/Sequoia National Parks, learned to BBQ in Ojai, soaked up the sun in San Diego, and spent a week exploring the wild desert of Joshua Tree and southern Utah. 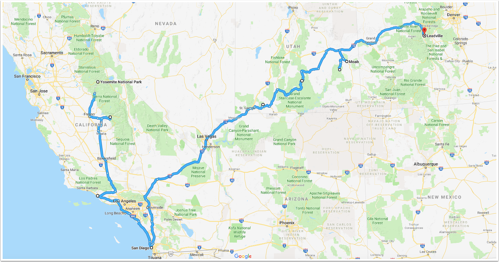 Overview: We visited these two parks over the course of five days while camped amongst huge sequoia trees in a campground with cell phone service, allowing us to work at the same time! We could have stayed here for weeks. Where we camped: Azalea Campground in King's Canyon. This is a great central location between the two parks and has a little grocery store and a restaurant. Remote worker ready? Yes, we had at least two bars of Verizon cell service. Overview: We went to Ojai to visit friends and got to spend a few days exploring this sweet little town. Our friends at Gordon's BBQ showed us how to cook like pros, though they just have a special intuition about BBQing that we don't have...anyway it was delicious! Visit (or stay at) Caravan Outpost, an all-airstream inn. Where we camped: Wheeler Gorge Campground. No hookups, no water or dump station, no cell service. Remote worker ready? Ojai is, but the campground where we stayed is not. Overview: Quintessential Southern California, SD is one of our favorite places. We hope to spend more time here in the future! Eat at Waterbar around sunset and try to get a table by the window that looks over the ocean! Grab breakfast at Kono's Cafe and go sit by the water. Where we camped: Campland on the Bay. If you are looking for a family reunion vibe with lots of activities for kids, this is your place. Otherwise, it's way too crowded for us. Remote worker ready? Yes, at least three bars of Verizon cell phone service. 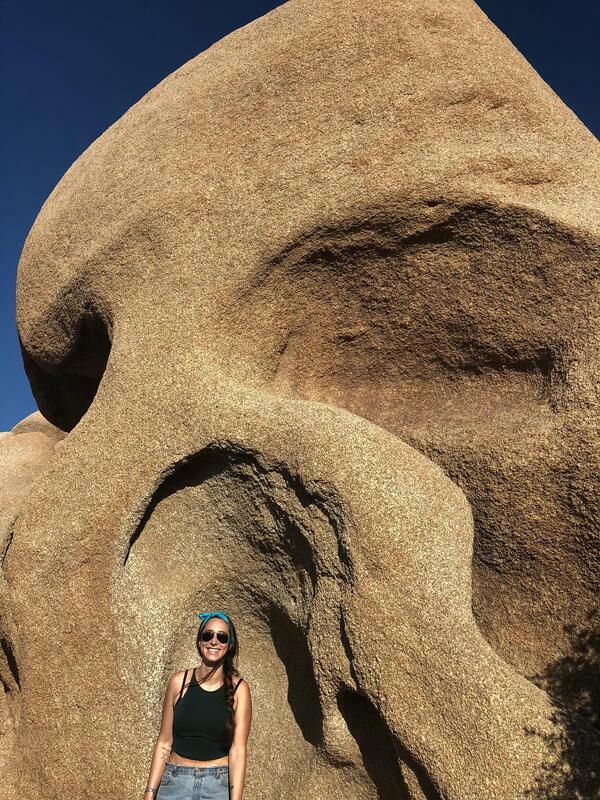 Overview: We visited Joshua Tree while staying in Desert Hot Springs. Being the summer off season, we pretty much had the park to ourselves, soaking up the hot sun like reptiles. 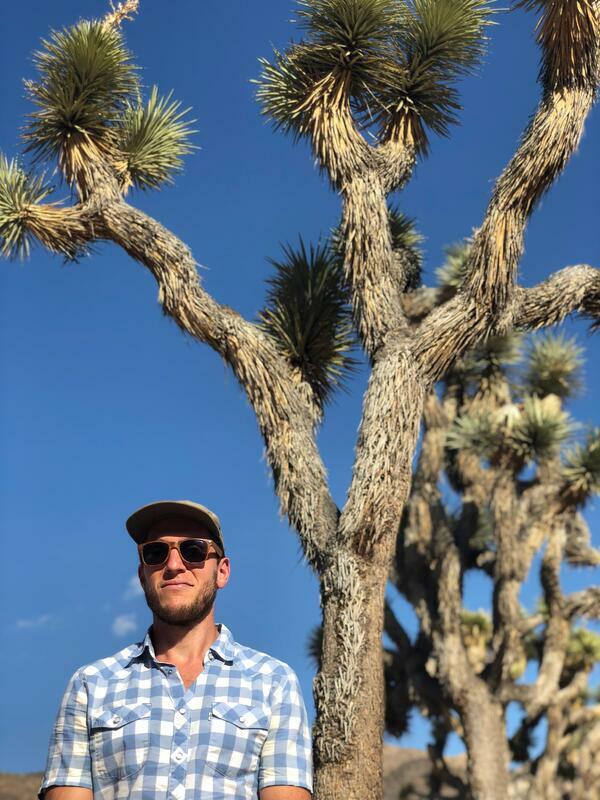 We entered the park in Joshua Tree and drove through to Twentynine Palms, stopping to see Skull Rock, Keys View, and any Joshua tree that stood out to us. We didn't explore as much as we could have because it was too hot to hike very far. We'd love to visit in the winter. Where we camped: Catalina Spa RV Resort in Desert Hot Springs. Amazing pool and gym! Overview: Stepping into Zion is like exploring another planet. Huge rock faces and hills show layers upon layers of minerals in sweeping designs, giving you a glimpse into the magnificent history of this part of the earth. Hike Angel’s Landing. Angel’s Landing is said to have received its name by Frederick Fisher, when exploring Zion with friends in 1916 exclaimed, "Only an angel could land on it!" Incredible views of the park, but not for those who have trouble overcoming a fear of heights. 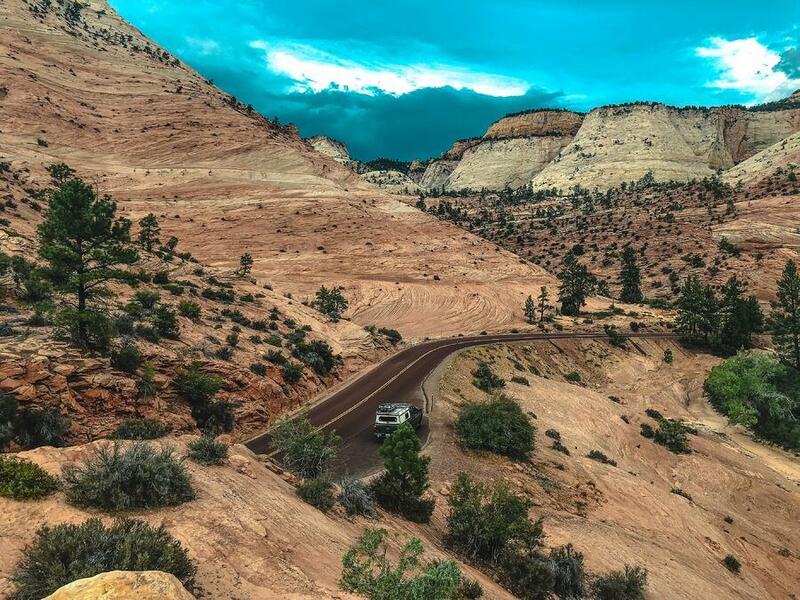 Drive the Zion - Mount Carmel Highway during sunset. Get out of your car near the top to go sit out on a rock and take in the silence. Remote worker ready? Yes, we had at least two bars of Verizon with our weBoost turned on. 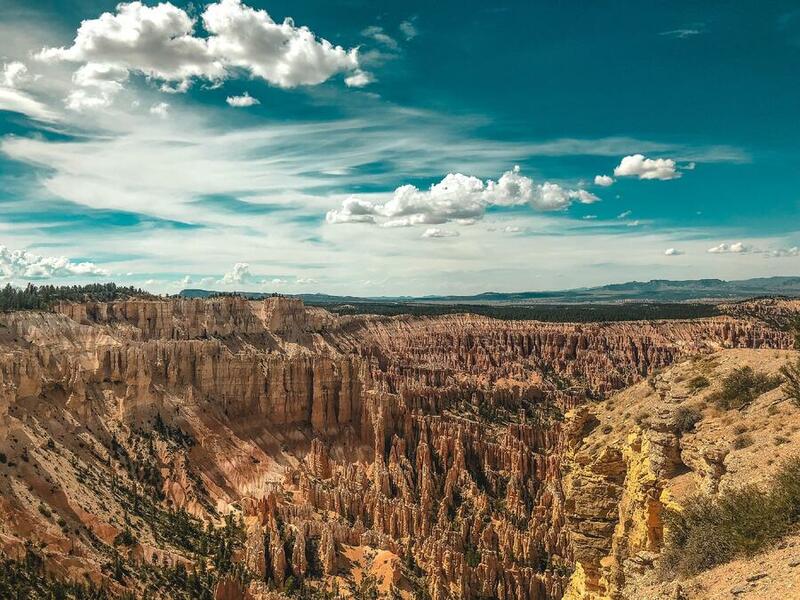 Overview: Though it’s difficult to pick a favorite because they are all unique, Bryce is our top pick in Utah. You can explore the hoodoos (unique rock pillar formations) from beautiful vantage points along the canyon rim and walk down into the canyon to explore them up close. On your way to Capitol Reef, stop at the cutest little desert cafe called Kiva Koffeehouse, a nice respite on your drive. Remote worker ready? Yes. We had at least two bars of Verizon without our weBoost turned on. Overview: Did you know we have a National Orchard? 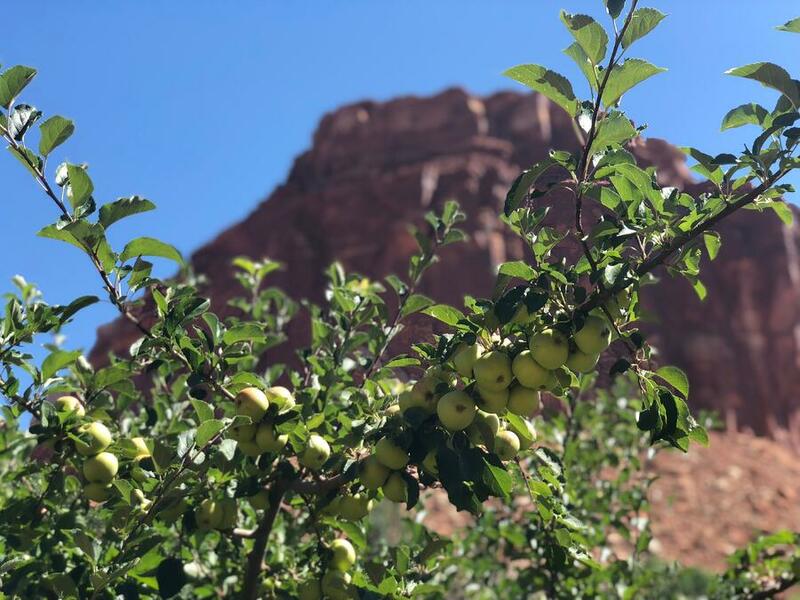 You can pick and eat ripe fruit for free in the town of Fruita, part of Capitol Reef National Park. 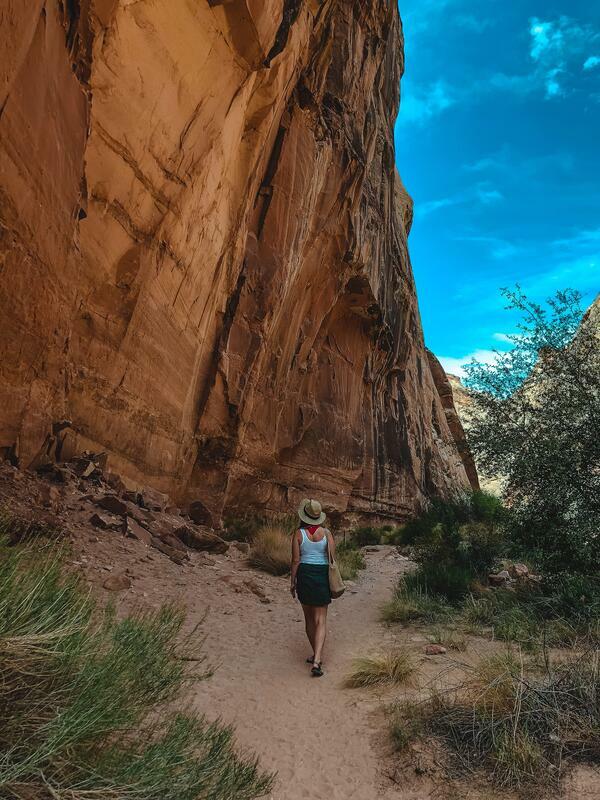 Another major part of this park is the ancient petroglyphs and pictogrpahs that can be found etched into the canyon walls. Remote worker ready? We weren’t able to get great cell reception at our camp spot (enough to send texts), but you can access it a short ride away in town. 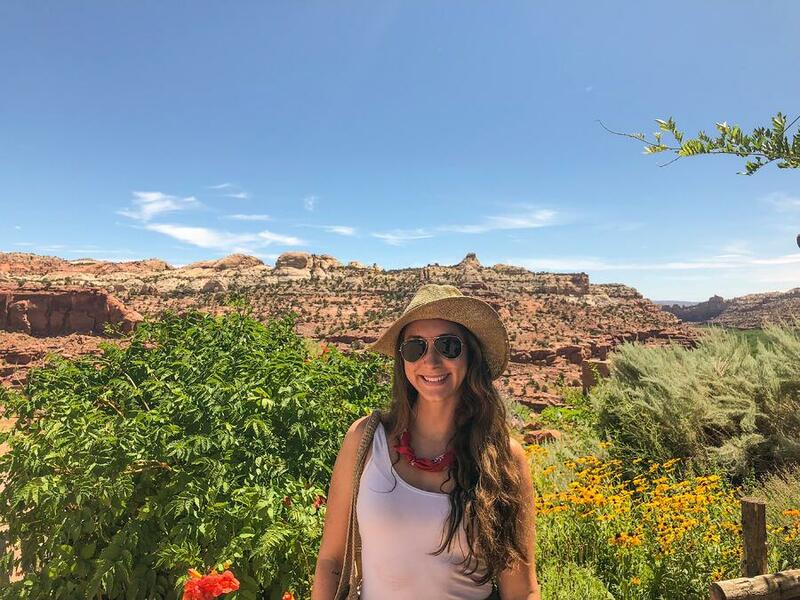 Overview: This is a big park which is divided into four districts: the Island in the Sky, the Needles, the Maze, and the combined rivers—the Green and Colorado—which carved two large canyons into the Colorado Plateau. You’ll want to give yourself time to explore this park. 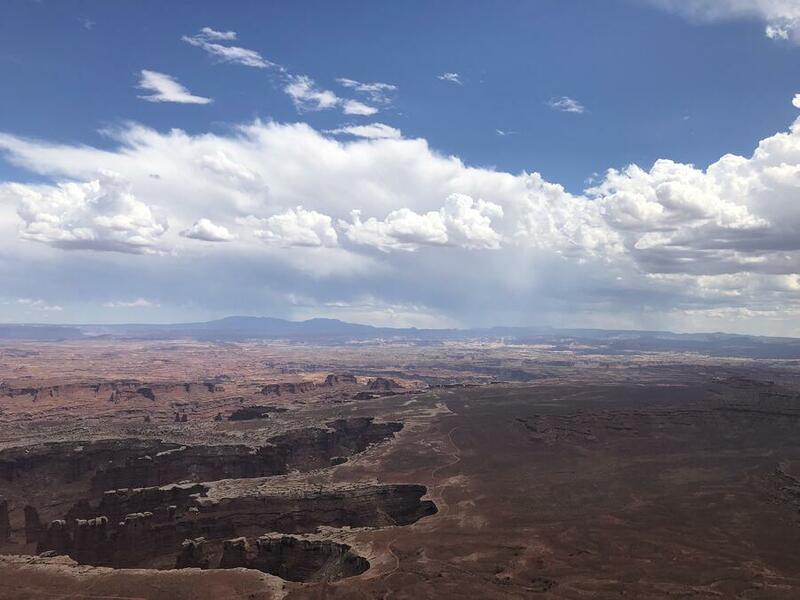 Overview: We stayed in Moab for a few days and visited both Canyonlands and Arches while staying central at one campground. 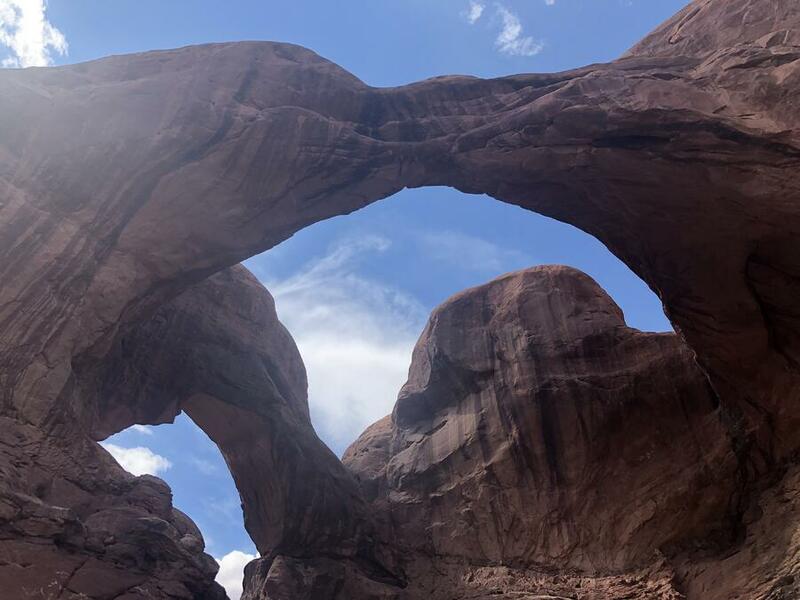 There are over 2,000 arches in this national park, with more being formed all the time! You’ll want to watch the video in the visitor center on how the arches form and decay. Eat dinner and grab a delicious beer at Moab Brewing Co. Killer wings are .25/each on Monday, Tuesday, and Wednesday nights! Overview: We wanted to spend a weekend at a higher elevation to get relief from the heat. We searched on our AllStays app for public land and found an amazing spot near Turquoise Lake. Paddleboard, kayak, etc. Turquoise Lake. Relax by a fire and enjoy the beauty! Where we camped: Public land. Remote worker ready? Yes, one or two bars of service with our weBoost turned on. 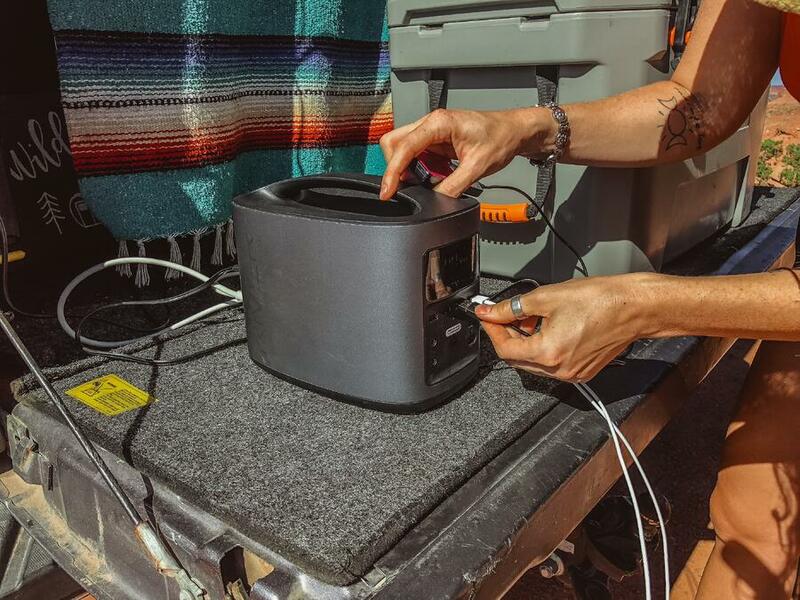 This EcoFlow River battery pack has been everything we've been looking for in a portable battery: ductless, eleven pounds, AC outlets, and a 12v inverter! And it is plug and play with PowerFilm's 60 watt foldable solar panel. 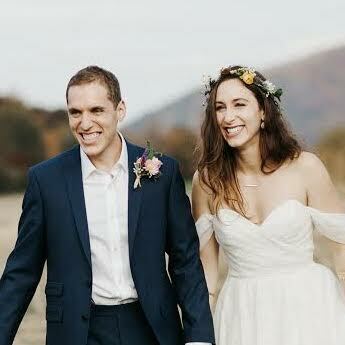 We've heard from people through our travels how they admire our lifestyle and want to live the dream. Well, we've listened and we're responding with a resource that's meant to educate and inspire people to live a sustainable alternative lifestyle. 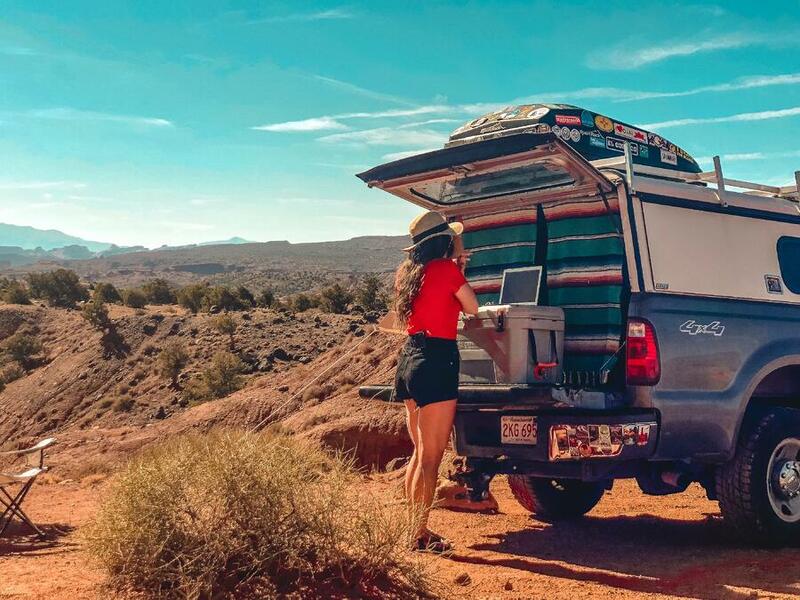 This digital nomad lifestyle is based on meaning and adventure, all while working at the same time. We're happy to announce that we've self-published a practical guide: Becoming a Digital Nomad: A Step-by-Step Guide to Living and Working from the Road. If you're someone who dreams of living a life of adventure from the road, get your copy today to begin your transformation.